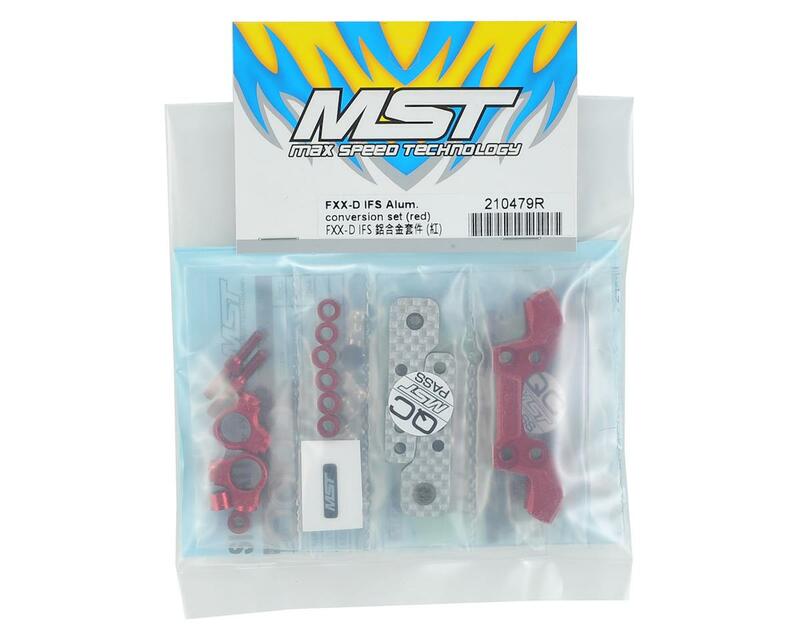 The MST FXX-D IFS Aluminum Conversion Set is an FXX-D specific option that allows you to eliminate the front shock tower, and set up the front end with a monocoque style suspension system. The unique design does more than lower your CG. By changing the spacer length at the pivot block ball studs, you can tune the damper force using leverage ratios instead of changing the piston or shock oil. Also, you can adjust the deck height by adjusting the length of the turnbuckles. Plus, the availability of a variety of colors will give you the option to give your MST ride a custom look. 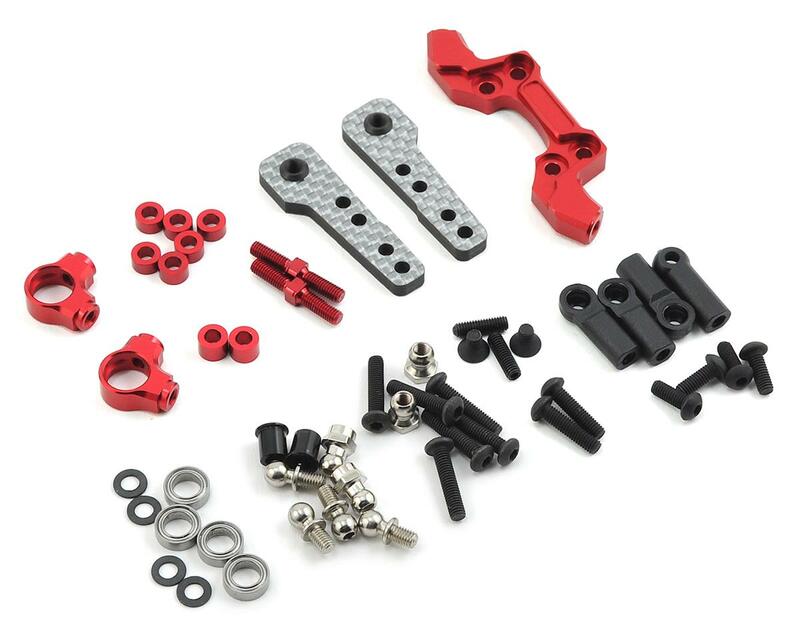 Package includes all the parts needed to complete the conversion.